By James Ignatius McAuley, Esq. During these ever-darkening days, it is comforting to hear the word of a friend who tells you to strive to finish the race to Christ. Some of the best words are to be found in the words of our friends, the Church Fathers. However, there are over five hundred such works, and it would grossly impractical to attempt to collect all of these works, especially as such an operation would be financially prohibitive. I decided to make a list that I believe should be on everyone’s bookshelf and was financially reasonable. I chose the number seven in honor of the Seven Gifts of the Holy Spirit, the Seven Sacraments, and the Seven Angels who stand before the Lord. Confessions of St Augustine – Charlie has spoken of this book several times. A wonderful book. Many decent editions can easily be found at a reasonable price. The Praktikos – This is the first work of the trilogy of Evagrius the Solitary, also known as Evagrius Ponticus, or Evagrius of Pontus. It is the first great manual of spiritual warfare and is the first comprehensive list of the Eight Deadly Passions that Gregory the Great will reduce to the Seven Deadly Sins. It is a simple, but comprehensive distillation of the wisdom of the monks as well as the wisdom of the early Church. For anyone in spiritual self-improvement, psychology, deliverance ministries, healing ministries, this book is a must. Written in the late 380s or early 390s. It is easily found from Cistercian Liturgical Press for around $10.80. The Four Centuries on Love (Charity) – By St. Maximus the Confessor. It is often said that St. Maximus “purified” the thought of Evagrius found in the Gnostikos and the Kephalaia Gnostika. Like the Praktikos, everything is broken into groupings of what are called “chapters” (kephalaia) that are essentially short pithy sayings. These are a distillation of the thought of Evagrius and the other Desert Fathers. A beautiful work that is found from Paulist Press in their Ancient Christian Writers Series (No, 21, $37.95) and their Classics of Western Spirituality Series ($24.95). Homilies on the Gospel of Luke – This is the earliest surviving “bible study” on the Gospel of Luke from the great Origen. These are the first Christian works to discuss devotion to the infant Jesus. The 39 sermons are reasonably short, easy to read, and will show you why so many Church Fathers and Mothers always go to Origen. It is available from the Catholic University of America Press, Fathers of the Church Series as Volume 94 ($39.95). Following the great Henri de Lubac’s dictum “See Origen at work,” you will learn about the Word of God and how each word has a meaning that interpreters of scripture must humbly take into account. Now, if anyone wants a book that talks about how the Fathers interpreted the Bible, they need to look no further than the first “Summa” of Christian theology, Origen’s On First Principles. This book is a masterpiece of pre-Nicene theology and should be understood as reflecting a less developed Christianity. But, the section on Scripture is excellent. If you buy the edition from Ave Maria Press ($25.00) you will also get the superb introduction by the late great Henri de Lubac. All of these books are reasonable in size and price. None of them are overwhelmingly long and complex, as is Augustine’s City of God, Hilary’s on the Trinity, or, the not very helpful for our day to day lives, Eusebius’s Ecclesiastical Theology. Yes, there are some other very good books, but these are the basics. If you want to understand the faith, you must love Jesus. If you think you know everything about the faith, its doctrine and history, and are sitting comfortably in the fortress of your Catholic piety, then you are setting yourself up for disaster. Approach the faith with humility, fast in hope, and pray in love as the Fathers did and, like them, the storms in Church and society will not shake you. Bravo, James! What a great list and telling for me: I need to expand my reading selections in the patristic writings genre. Thank you for the commentary on each title and I love your closing exhortation. Thank you so much, James! So to grow in love of Jesus along with the sacraments, obedience to God and his laws in the church, is the best thing to fast, pray, and see ourselves as very little, prone to making little and big errors and dependent upon Him? Crew dog!, you made me think: what if I expanded the list to 12 for 12 apostles? We know what books 8 (the Dialogues) and 9 (On First Principles) are. So #10 would be Prognosticum Futuri Saeculi by St. Julian of Toledo, the first book on eschatology. It is #63 in Paulist Press’s Ancient Christian Writers sor $49.95. Number 11 would be Eusebius ‘s History of the Church, which volume 19 and 29 in Catholic University of America Press ‘s Fathers of the church Series, $39.95 apiece. Best history of ancient Christianity. Shows the pre-eminence of the papacy and destroys the myth that the Church was corrupted by Constantine. A fuller version is Rufinus’s edition, which is volume 133, for $39.95, which goes through the Arian crisis. Number 12 would be Athanasius’s Life of Antony (Anthony), #10 in Paulist Press’s Ancient Christian Writers series for $24.95 or the Classics of Western Spirituality series for $21.95. A wonderful story of the first monk and about spiritual warfare. Lol, love it Doug, especially as I like pears. Sorry to interrupt the sing-a-long, Doug :-), but I have to ask James, if Vol 19 or 29 deals with the Constantine myth. Have a family member who has issues with that issue. Also are these for the lay reader or more scholarly based. Thank you in advance. Well, I am going to venture here myself, Marie. I know some atheists and Protestants who speak of the “Constantine myth,” suggesting the Constantine was actually the founder of Christianity rather than a convert. Utter nonsense. Constantine’s role in ending the persecution of Christians is WELL documented historically. The nature of the vision he was said to have that led to this is between him and God and no one can know with certainty. But folks who deny the actual documented history are just the flip side of superstitious ninnies. I thought you might like this piece which does a nice job of explaining and puncturing several anti-Catholic myths. Good read on Constatine. Thanks Charlie. Thank you very much, Charlie. Will be reading it carefully today. Haven’t heard ‘ninny’ used in a long time. Made me smile as I used to call some of my siblings that when we played cards growing up. Being the youngest of 8 I got away with it, but these days, probably not so much. Haven’t heard “ninny” in a long time, but it was certainly very much around in my (innocent, oh thank God for that) 60s childhood. It strikes me that it could/should be re-introduced as it couldn’t possibly offend but yet conveys disapprobation. In fact, in our present (lack of) culture it would sound pleasantly retro – which seems to be all the fashion these days. Enlightening to all, Charlie! Thank you. Thanks for the input, James. With Charlie’s and your info, I’ve time traveled back to high-school debate prep…arghh!! Now, this is very early indeed, and I cannot see how anyone can deny its authenticity concerning the Faith of the early Church -which is the Faith of the present, and Eternal, Church. It’s been a killer quote for me for some time. Amazing how some who feel free to refer to their faith as coming from the Scripture and the Fathers either don’t look at what they actually said or take it totally out of context. Well, no, not amazing. It’s been going on for a long time. Thanks to you, and Charlie, for this. Steve B.C., seven was the goal, but then I thought of Mick, Caitlynngrace, and Patrick of SD and added the Dialogues. Then I added Origen’s On First Principles after reading a comment by kasa2018, so that is where that book Was brought up. I had Susan Skinner and Ashly Blackburn in mind for the Praktikos. I was actually thinking of you, Stevebc, when I put in Ireneaus’s Book 3 of Against The Heresies. The Protoevangelium was with Charlie and Beckita in mind. But, yes, I deliberately tried to keep the list short and relevant. Happy new year, Stevebc and everyone! Happy new year to you and yours, James ~ and to all our ASOH family and your loved ones! Happy New Year Joe! So happy to see you back…missed you. Happy new year, Mick! I think you will like the book. It is made up of four (4) books. It will not give you a headache and is very pleasant to read. Ha, James! I love how lawyers do things like “four (4).” Granted, I haven’t practiced in pert near forever; but I still think that the double iteration is so cool (that might not be the correct term, but whatever). Hey, James… Got a reply from my book-dealer friend. I just scored me an old copy of The Dialogues for nine bucks. Yesss! Regarding the double iteration, I have found it helpful for clarity and so it has found it’s way into non-legal writing. Love, Prayers and God’s Blessings to All, Dear Friends! The set is a very good anthology,, but the small excerpts make you want more. Then, it can be frustrating when you find that the work excerpted from has not been fully translated.. 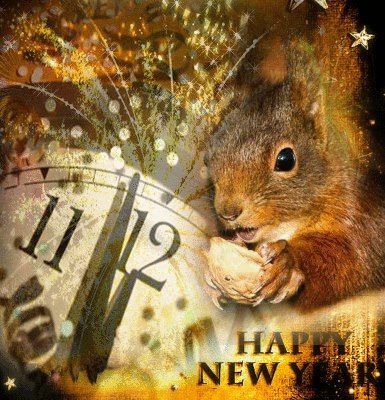 Happy New Year to all the TNRS squirrels! Thank you , a feeling of hope came over us as my wife and I wished each other a Happy New Year. May that feeling spread throughout this lovely community . Thanks, James and Happy New Year to everybody! It does sound fun and interesting, maxi! It is I, Christopher J, who suggested the thread. Something happened in my WordPress login and it posted as MaximemeQ. (long story there) In any case, I wanted to identify myself correctly. Sorry about the oversight on my part. I wasn’t paying attention to the fields below the comment text box. Sometime I’ll hit SteveBC up for some advise and suggestions on how to avoid it in the future. Christopher J, I can edit that MaxiMemeQ entry to your normal handle if you wish. I must say that if you are a Q meme-er, you have my admiration, and I would love to see some of your work. As for keeping this from happening again, it depends. If you have a personal WordPress.com account, you should set your Profile’s Display Name to Christopher J, which will make it permanent, then be sure you’re logged into your account when on the ASoH website. On the other hand, if you are leading a double life and switching between these two handles (or more handles) for various WordPress.com websites, you’ll just have to be careful to switch your display name each time or don’t log into your WP account at all so that you can enter your chosen handle each time you comment here or elsewhere. If you don’t use a WordPress account, then presumably you put your handle in each time you publish a comment. If so, again you will just have to be careful. Re my WP account: I won’t reconstruct the steps I took trying to set up an account here. Btw, I had a WP account at TNRS but put off setting one up here when this site launched. I did go to the FAQ page and when I followed those instructions it told me that Christopher J was already taken. Anyhoo, I’ll look at my profile and try to make sure my default username is correct. I usually look down to the 3 fields below the text entry box to make sure it displays Christopher J in the middle line but obviously didn’t earlier today. Thanks for the input and everything you do here. I love these stories, SteveBC. Such an interesting life! Aha! I should’ve known better than to think you didn’t know about (the real) Max Q. Interesting resume, btw. Mystery solved & Thanks again! All I can remember is stumbling into the old site in 2014, from another site. I found Mark Mallet around the same time. I think I may have heard of Charlie earlier, 2012 or 2013, but I do not recall. B eckita commented before I did. I think I first commented in the fall of 2015. You have a great memory, James. As I mentioned, previously, Charlie’s writing had captured the attention of a priest friend who wanted me to take a look and convey what I thought. I believe that was in the fall of 2014. I knew from a quick survey that I couldn’t fairly assess without reading more seriously what was growing in the archives. Inundated in several projects, I couldn’t do that until after our return from the latest evangelization journey to China in the spring of 2015. Between severe jet lag and a wicked virus that we had come home with, I was down for 3 weeks and I filled that time with reading the archives already teeming with wisdom and new perspective concerning what we are living. Unlike those who criticize and say the sensational is revved up here, I rather found words of calm and reassurance, words reaffirming that God has not left us and is leading us through a process wherein He – as ever – invites us to co-create something new with Him while His Mother – as ever – remains with us, interceding and also leading. I’ve said it often: there has been a gold mine of gems shared and considered via the topics about which Charlie has written which have fostered and clarified faith, led us to train mental and emotional strength – and considering potentially difficult eventualities was never about scaring anyone but about being prepared for a reality of which we have very little detail. I am grateful for this training and for the people who have shared their perspectives, knowledge and wisdom over these few years. In this New Year, I’ve been thinking and praying more about how we will most likely grow as a community in 2019. A year of judgement will most likely bring us new commenters who will need the comaradarie we share, our prayers, our love, our reassurance, and our shared faith with words and deeds of hope. We have certainly evolved/hanged/grew over the years to be more the mystical body of Christ and not a bunch of apocalyptic crazies, Beckita. Things were certainly more sensational in those days, despite Charlie’s intentions/mission. I do not know if you saw Susan Skinner and Ashley Blackburn’s latest article, “Suffer Well” over at Sue’s site, Veil of Veronica, but it is completely in line where we are going as a community. We all pray for each other, Mick, Jlynnbyrd and Doug, with you, are often in the vanguard of the prayers. People are surely tempted to gravitate to the sensational, James, and to try to figure it all out. CJ has spoken to this as clinging to a false sense of security. I agree. Thanks for the heads up on the beautiful “Suffer Well” piece. In a time when there’s so much great reading to enjoy as we benefit from the inspiration and information imparted, I often recommend, to those deep in their personal storms, Fr. Spitzer’s gem of a book: The Light Shines on in the Darkness: Transforming Suffering through Faith (Happiness, Suffering, and Transcendence) In it, one finds a tremendous compendium on Catholic teaching as to the value and purpose of suffering; the book oozes with inspiration to suffer well; Father gives practical strategies and prayers which draw down God’s strengthening and consolation. In my estimation, it’s an antidote to the fear of suffering and in a year of judgement we can be sure there will be ample times to offer, for the good of others, what we shall suffer in the transition, the very laboring of bringing about a New Beginning for the human race. I am also looking forward Father Spitzer’s next book: Called out of Darkness: Contending with Evil through Virtue and Prayer. I thought I heard him say that he had turned in the manuscript to Ignatius Press on his EWTN show about two months ago. He had referenced it in a footnote on page 258 of The Light Shines on in the Darkness. Sounds like another great one, Joyful! I knew that it would be sensational for a while (perfectly natural knowledge, nothing supernatural about it), which is why I was not at all offended when my Archbishop noted that while I emphasized the message and de-emphasized the sensational, there was genuine concern that many were drawn to the site BECAUSE of the sensational. In that sense, even my errors served as a sort of winnowing fan: were you here for the steak or just for the sizzle? Most of the sizzlers have moved on while those who remain are feasting on steak. I like it. This was NOT going to easily fit what people’s expectations or pre-conceptions of what such phenomenon would be. When that happens, for a good, long while people impose their own pre-conceptions over what is actually written. One of the greatest graces I have benefitted from is that when the Commission that examined me got to work, they read what I had actually written and listened to what I actually said on tapes rather than listening to the scabrous claims others made about it (it didn’t do those others’ reputations for accuracy or honesty much good, I can tell you). If you were an “end is nigh” type looking for all the special effects, you either left for greener pastures than I give such stuff, or you grew into a more seriously faithful person dealing with the actual realities we face. It took a while, but we did, indeed, grow into the sort of community I had envisioned it becoming. There is more growth yet to come. I sure am pleased with the rigor, the fortitude, and the seriousness of those who are here now, though. I think this community is going to be a resource to many as the Storm deepens. Seriously though, Lambzie and I have been anticipating major changes based on other approved apparitions as well as Medjugorje talking about warnings and chastisements. So we have always been anticipating some major upheaval. What got me to stay here was your deeper writings which I found very solid and erudite. I could see you were not crazy. Given this and that we believe we will see major disruptions and what you were purporting at the time, we thought that the time was close at hand. We still believe we are in for something big taking place. At this point, we endeaver to not put a time frame on it. Although, in many respects, I want it to start to bring my kids back. It will become apparent when events do actually start and I trust the Holy Spirit will guide us through. I personally think the next phase will be a major world economic collapse which will set off the next chain of events, but only God knows for sure and God knows we need a course correction. In the mean time, we slog on taking the next right step and being a sign of hope. Amen, Charlie. And may it be! Steak with garlic, salt, pepper and butter, Charlie. We are all growing in the love of God, family, and neighbor with help from this community. Don’t forget the mushrooms, please. Mmmm. Grilled, or fried, or sautéed… as long as there are cooked onions with my steak, I am a happy girl. “…..or you grew into a more seriously faithful person dealing with the actual realities we face.” Yes, that would be me and THANK YOU ALL SO MUCH for this:)))) Happy New Year! Thanks, Sean. A friend in Amsterdam just emailed me this information. The works of the red dragon are flaming. Dear Maxi, it does sound like fun! I, for one, had been disturbed by reading online by a person whom I thought was a credible source that Pope Francis was the False Prophet. I called an old friend, a devout Catholic, who agreed that she ,too, had concerns but did put my mind at ease.Before hanging up she casually mentioned she had some friends, who were solid Catholics, and were interested in a guy named Charlie Johnston. I found his site and he was angrily denouncing those who said he was not validly elected.Immediately I was hooked by all he said and never looked back. I felt that what he said was true….that he spoke the truth as he knew it. Thank you Charlie…I never doubted you. I have been a loyal follower since that time….I think it was 3 or 4 years ago. Happy New Year, everyone! Thank you, James, for this list! It’s a great New Year’s resolution!! Your welcome Kim – remember Kings Mountain! Lots of good verses & reflectionS this Christmastide! GOD SAVE ALL HERE ……. Bless & Protect us in 2019!!! Crew Dog is one of my favorites on this site – a Catholic “Drudge” without the garbage. Thanks for your work. Crewdog! Love it, James. Spot on about CD. Thank you, Crew Dog! Lol….VERY well stated about Crew Dog! I check out many of his links. Your list is excellent. I’ve ordered the Homilies on the Gospel of Luke for my hubby. (That book can be obtained through Amazon too, by the way.) Thank you. I appreciate the list you have provided James. There is so much available to read these days that a summary such as yours is a blessing in busy and confusing times. On a different note James, with your lawyer hat on and a quick read of George Weigel’s article, what hope, what next right steps might be taken by faithful Catholics to help Cardinal Pell and the Church? Such a well written article by George Weigel. He nails the various facets contributing to the injustice meted out to Cardinal Pell. I’m interested in James’ take on this too, Karen, yet we know for certain the truth in Mark 9:29: “And he said unto them, This kind can come forth by nothing, but by prayer and fasting.” Cardinal Pell needs our support. Cardinal Pell has been in my prayers for some time. The whole process sounded contrived, like he was targeted. I thought he was getting close to some truth with the Vatican Bank. Karen, I spent an hour writing a reply, which I accidentally deleted. I take that as a sign, so let me get back to on Wednesday with a different approach. What can citizens of other nations do? Your legal options are limited: you can file a formal written protest with the Australian embassy in your respective country, and you can also write to the Australian Prime Minister and the Governor of the respective Australian province and express your opinion. You do not have standing to intervene in this action, unless you want to take a globalist perspective. Beckita is correct, prayer and fasting are necessary, and must be done. And, I know many want to open up and expand the statue of limitations – but this goes against our common law tradition from King Edward I, the statute of Gloucester of 1278. Once you open the door, it will not shut, and the powerful will use it to abuse the weak. Thank you for your response James. I can confirm to you that there is much prayer happening for the Cardinal. It might be possible to arrange a fasting commitment through existing networks to go together with some sort of letter to the Prime Minister also – that is a great suggestion thank you. I’m quite sure you know, Karen, that prayer for Cardinal Pell rises from international places where people have appreciated the work he has been doing for our Church. Such a strong orthodox voice has he! May Our Lady come to his rescue. I’m praying for Cardinal Pell but I think he’ll be ok. Thank you James McCauley esquire for my new reading list. I own some of these already but will address them all and thoroughly this New Year. Yes I’m planning to cut back my work schedule. I ask this community for the charity of your prayers for my son, Samuel. He works hard but when he gets stressed, his impulse is to make silly jokes. He used off-color language and was immediately reported by a co-worker for “not representing company values.” He is on paid suspension. He is resigned to God’s will but I am so dismayed how those who try to live right and adore Jesus (Sam keeps a weekly holy hour for adoration) are shown no mercy and expected to be perfect. May God grant justice. Prayers ascending for your Sam, Marisa. 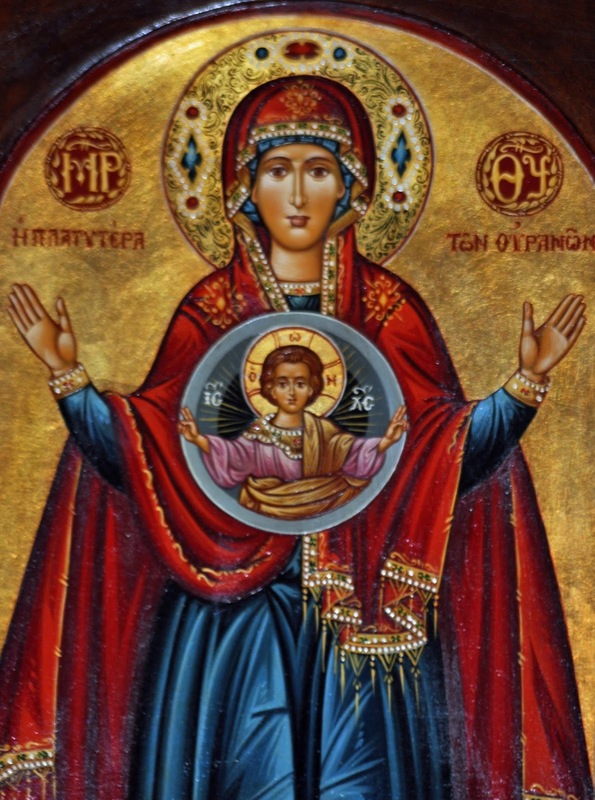 Placing him and his situation in the intercession of the Theotokos and her Son on this, her solemnity: Mary Mother of God. Tucked Sam right into the Child Jesus’ tunic, actually that brown wrapping outer robe, near His Sacred Heart, as He is presented to us near the Immaculate Heart. I thought of you when I posted it, James. This brought tears to my eyes, Beckita. Where could anyone be more loved and cared for than next to our Saviour’s Sacred Heart? Amen, Sister. Your ASOH Family remains by your side in prayer, Marisa. Whoops! Sorry, meant prayers Marisa. Marisa, I’m praying for your son too. Also for you, as his mother. One of my sons was diagnosed many years ago with Tourette’s Syndrome, so I understand and have compassion for you and your son when you feel he is not shown any mercy. I love that your son keeps a weekly hour for Adoration. God bless the both of you. Thank you, AudieMarie. Sam is mildly autistic. One of the symptoms of this is an inability to pick up on social cues and impulse control. When he heard his two black co-workers calling each other the N-word, and knowing that they often teased him for his ethnic surname, he thought it perfectly fine to join in their horseplay. But, of course, when HE said it, he was overheard and immediately reported. Perhaps those two will speak up for Sam and he will be able to keep his job. My younger son, JohnPaul is more disabled than his brother and unable to work. I would hate to see that there are those who would discriminate against the different-minded just because their “minority” is on the inside and not the outside. The key difference, I believe, is that they both know Jesus and are submissive to His holy will. Thanks to ALL for your prayers. God is good, all the time. Praying for your son, Marisa. Cardinal Pell is a white martyr. Hello again Steppers. Just back. I have missed you. I have been unable to respond to your good wishes until now. I now thank you for them. I pray that in 2019 we can all grow in grace and grace others with our gifts. Welcome Home, Joecro. We missed you too! Hi Joe! Merry Christmas and Happy New Year! Thanks for your good wishes. Same to you. Joecro, so good to see you here! God bless you and your loved ones this new year and beyond. Looking forward to your posts. Yes– hi JoeCro- Merry Christmas and Happy New Year! May all be blessed in 2019. Thank you, Anne. New year blessings to you and yours too! James, thank you for compiling this list of good reads. I had just ordered Confessions of St. Augustine, but not sure if I would comprehend all of these books. I am a slow reader, but love to read. No one else in my family is interested in them, so I feel like a squirrel gathering nuts for the winter. Some day, when I am gone, they will be, hopefully, a treasure for someone else. There might not be a lot of money for them, but there will be wisdom. I’ve taught and tutored ‘The Fathers’ now for over 40 years. Getting a basic feel for the lives, general thrust, and writings of the ‘Fathers of the Church’ per se is a daunting task. It is difficult at best with solid Patristics scholars for your teachers/Profs. The list of books recommended above isn’t bad at all – with one kind caveat to be found below. Here is the problem for the non-professionals: For a professional teaching the subject it takes approximately 20 to 30 years to studiously get through the vast majority of the subject material. By the time they finish, they discover that they remember much of what they have read in a general manner – but they still often need a good reference library [private or one to which they have ready access] from which to refresh their memories and flesh out their thought. HOWEVER, I NEVER refer people to the writings of Origen without a gentle warning that, parts of Origen’s writings were condemned by several General Councils of the Church for containing material which is incompatible with the teachings of the Church. 1) his teaching of a ‘Final Apocatastasis’, some point at which all will be “regenerated reconciled with God.’ A number of Origen’s contemporaries chided him with questions as to whether Satan and the fallen angels will be released from hell at the end of time. – *1035 *The teaching of the Church affirms the existence of hell and its eternity. Immediately after death the souls of those who die in a state of mortal sin descend into hell, where they suffer the punishments of hell, “eternal fire.” The chief punishment of hell is eternal separation from God, in whom alone man can possess the life and happiness for which he was created and for which he longs. Origen also taught the pre-existence of souls, i.e., that God pre-created the souls of those who will ever come to life – and that those souls in some manner lay dormant till the creation of a human body here on earth – at which point God takes one of them and joins it with the newly created body. [That is a crude explanation of Origen’s theory on the prior creation of all souls – but it essentially covers the subject.] The Church of course refuses this explanation, and holds that God creates the human soul of a human being “at the moment of conception”. These theories of Origen were not formally condemned by the Church till after the death of Origen. Therefore such heresies in Origen’s case were ‘material’ ones – not ‘formal’. In other words, his errors were in ignorance of the Church’s eventual formal teachings on such matters. Never-the-less, I always pre-warn my students of the fact that there are some dangerously grave concepts and ideas to be found in the writings of Origen. I do that right before I recommend certain of Origen’s writings to them, such as his commentary of the ‘Song of Songs’ [amongst others]. I always try to have them read a reasonable number of selections from Origen’s commentary on that Book, before I have them read St. Bernard of Clairvaux’s Sermons on same. Many of the Fathers made mistakes here and there. Therefore, amongst other works at hand in the library, I recommend the 3 vol. set of Fr. William A. Jurgens, ‘THE FAITH of the EARLY FATHERS, selected and translated by Rev. William A. Jurgens, The Liturgical Press, Collegeville, MN., 1979. It has an excellent doctrinal and topical index. This can be invaluable in ascertaining where a quote from one of the Fathers stands within the body of the Church’s full teaching. All that having been said, I wish for all a most spiritually prosperous NewYear, filled with God’s blessings and our recognition of them as such. It’s funny because I had some of these caveats in mind. I have said that God knew, from the beginning, all souls He would ever create. Someone privately suggested to me that I was channeling a condemned theory from Origen. I quickly corrected that friend – noting that Origen said that God had actually created all souls from the beginning, while I say He knew all things that He would create from the beginning – a very different claim. The thing is, Origen wrote so many truly beautiful and profoundly insightful things that he is important to all serious Christians. But this gets to a point that I have often made: even the greatest of saints have made some comments that were later determined to be unsound or erroneous. We all have feet of clay and we all have need to build each other up – and neither dismiss someone of the stature of Origen because of his occasional errors, nor treat every word that a saint has ever spoken as Holy Writ. We are, in a very real way, the Army of God. It is right that we should give honor to those soldiers who have made such enormous contributions to expanding the (intellectual and theological) territory of Christendom – without losing sight of the fact that even the greatest of generals, both in war and in faith, had their setbacks. Love this discussion and these points! I had the great gift of friendship with a priest from Malta who retired here in my small town after many years teaching in India. He often gave me important books to read for my take on them, I guess he wanted to see how they were understood from a layman’s point of view. I remember one of the books was the Chatechism. Your point about having “feet of clay” reminded me of a story he told about Padre Pio. One of Fr’s spiritual children went to Padre Pio for confession and afterwards told Fr about a certain issue Pio lambasted her about. Later, Fr confronted Pio about his spiritual daughter and told him he was mistaken about her. Padre Pio politely apologised and said that sometimes he made mistakes in his discernment! I always ponder this story when reminded of our feebleness when divining the mind of God and the other stories of saints, great and small, making their way through the Great Mystery which is God. I think St Paul’s last Testament of “I kept the faith” is the clarion call to it all for us all. I think this is a fairly straight forward question to answer. Would you let a rabid or mad dog into your home? Of course not because of the risk of injury or death to the inhabitants. Ok. What if God healed the dog? Hmmm. Add free will to the mix. What if the rabid or mad dog is so angry, it refuses to change. What then do you do? Would you still let the dog in? Thank you SO much, Desmond, for sharing your expertise with us. Wow! A New Year’s blessing all its own. Is this Desmond A. Birch, the author of Trial, Tribulation & Triumph Before, During and After Antichrist? I have that book! 🙂 Wow is right, Beckita! A good and necessary warning, but I believe that the reader has less to fear from Origen then from reading Hans Urs von Balthasar’s work “Dare We Hope that all Men Be Saved?”. “On First Principles” has been around Latin Christianity since the late 4th century and has not seemed to create any problems in the Latin Church. The Butterfield translation with de Lubac’s introduction has sufficient caveats for the reader and Behr addresses this in his new translation. When we look at the Second Council of Constantinople of 553, neither Origen himself, nor his work is expressly condemned, though, the Council was interpreted/understood in the Greek speaking east to be a condemnation of Origen. However, the one whose work was expressly quoted, though he is not named, is Evagrius Ponticus. The work cited in the condemnation is the “Kephalaia Gnostika.” There is much beauty and good in this work, but this work, more than anything Origen wrote, deserves caveats, because it is clearly the Evagrian eschatology and understanding of the apocatastasis that is condemned by Second Constantinople. But again, this work survived in Syriac (S2) and has had no ill effect on the various forms of Syrian Christianity. However, I do not recommend the “Kephalaia Gnostika” to anybody without prudence and prayer, because if you read the introduction that Illaria Ramelli did for her remarkable recent translation, you might come away thinking that almost all of the 4th-5th century fathers believed in the Evagrian type of eschatology..
And, the “Praktikos” should not be tossed aside because of the mistakes that Evagrius made in the “Kephalaia GnostiKa. In any event, Desmond, I have always liked the idea that Jerome “purified” Origen and Maximus the Confessor “purified” Evagrius. Fairly enough, you could make the same sort of caveats about Augustine. Over reliance on Augustine and Aquinas has lead to all sorts of problems, one of the worst being Calvinism and the other being the perennial overcorrection that happens when either Augustine or Aquinas is over emphasized. It is unhealthy to rely primarily one one father. After all, part of the point of St. Vincent of Lerin’s “Commonitorium” is that there is a general consensus among the fathers for something to be considered part of the deposit of faith handed on by the apostles. Yet, all too often it seems that we over emphasize one fathers at the expense of others. My problem with Jurgens is not only that it is a dated anthology (there are more current critical editions of many works), but it comes across as a series of proof texts for apologetics that can give the reader a misconception because some (not all) of the quotes are taken out of context. It is defintiely perfect for a course for introductory patristics, and I do not think there is anything that has surpassed Jurgen’s work on the market, especially for the doctrinal index. I think the old Latin concept of stopping the “fathers” with St. Bernard is arbitrary and erroneous. Being Ukrainian Greek Catholic, I think the Orthodox approach that every age has its fathers is the better way. That is why the Catholic Univesity of America did the Fathers of the Church Medieval Continuation. Now, people like Bl. Henry Suso and St. Albert the Great are being considered fathers. But, back to Origen – I do not know if you have seen Lorenzo Perrone’s critical edition of Origen’s recently discovered Psalm Homilies. These sermons are incredible and Joseph Trigg has the basic translation done. It should be in the Fathers of the Church Series for 2021. Meanwhile, look for the sermons of Chromatius and his Tractates on Matthew that just came out as #75 in the Paulist Press Ancient Christian Writers series. My pal Thomas Scheck did the translation. Thank you, Desmond for commenting and raisng the concern, I should have done that. I have thoroughly enjoyed what you and Charlie wrote on this. Charlies, what you wrote is beautiful. James, you and others here discussing Origen, etc. is beyond my intellect. I admire all your minds. Do you have any suggestions for people like me of where to start with getting to know the Fathers, or maybe we should just stick with the basics? Thank you. The Jurgens set that Dedmond Birch recommended is a good start, but I have often found that isolated selections of an author can lead to misunderstanding of the work. That is why I made the list. There are certainly some patristic works that are only helpful for specialists, such as the boring “Scholia on the Apocalypse ” by Cassian the monk from the 6th century. Sometimes , a condensed book is helpful. For example, most people do not have the money, time, or shelf space to buy the “Summa Theologica.” So, I recommend Peter Kreeft’s amazing “Summa of the Summa.” With Kreeft’s notes and introduction, it makes the Summa approachable. My personal hardcover copy, is battered, filled with notes from my college days. Love this closing quote, James. Look what you started here: excellent discussions concerning some of treasures of our faith! I appreciate your depth of knowledge and your willingness to set us on a path which challenges us to dig deeper into what we believe. Holy Bravo! I fully intend to continue studying in Paradise. Too many rich resources and too little time on this side of the veil to take them all in! Oh! And won’t that be exciting, if God grants us the grace and perseverance to reach the Heavenly Heights, to actually talk to the Fathers themselves!!! Beckita and Marisa, so well said. Most of this life is spent acquiring virtue, the practical life, to be generally free of the passions, as found in the Praktikos. Then we move to the life of contemplation, the life of the beloved, as found in the Gnostikos. Then there is theology, the study of God, conversation with God, as found in the Kephalaia Gnostika. If we do not do it here on earth. We will do it across the veil. James, thank you so much for your help. I truly appreciate it.. This is what I needed. I am going to order Peter Kreeft’s book to begin. The quote at the end of your comment is very encouraging. Thank you! God bless you and your loved ones. Peter Kreeft’s book, The Summa of the Summa,” is so good I read it very slowly again every two or three years. Charlie, that means I’m going to have to read it extra slowly. 😉 It’s on order, so will spend the winter nights reading. Peter Kraft is extraordinarily deep with a very tall intellect. I have heard him talk twice. By the way Charlie, you are an intellectual giant in my humble opinion. Read that yesterday Bob. Good article from one who knows. Dan came in person to our church two years ago. Great testimony. Thanks. Look back on those messages people…This messages never changes. It always the same, whether Pedro or Luz.. Thank you all for your warm welcome back – having a bit of trouble resurrecting my word press so please excuse me if your kindness seems ignored – I can assure you it is not. Becks is working on it for me. Very perfect timing is this list of material on the Fathers. A particular priest in my parish, a “biblical scholar”, whose homilies often disturb my spirit and soul so deeply before the Transubstantiation takes place, that it is everything within me to focus, and I usually fail . A recent homily included a Kahlil Gibran poem On Children “…you may give them your love but not your thoughts.” Eli was punished because he did not council his sons against their evil when they were adults. So I have been attempting to read the daily readings in the office that have the writings of the Ancients included, but they are just snippets. So I am also going to begin with the Dialogues. Much appreciation.